Rare first floor bedroom with full bath! This stunning designer home boasts upgraded cabinetry, center island, lighting, and paint. The walk in pantry is massive, as is the upstairs game room room/loft. This 5 bedroom 4 bath stunner has ample storage space and a 3 car garage. The beautiful master bedroom has a walk out balcony with mountain views. You can’t beat this gorgeous home in the desirable Stetson Valley community! Directions: I-17 North Exit Happy Valley Rd. Happy Valley Rd West to 51st Ave – North on 51st Ave – Community on Left. Approximate size: 6900.00 sq. ft. Please, send me more information on this property: MLS# 5875221 – $469,900 – 5220 W Bent Tree Drive, Phoenix, AZ 85083. 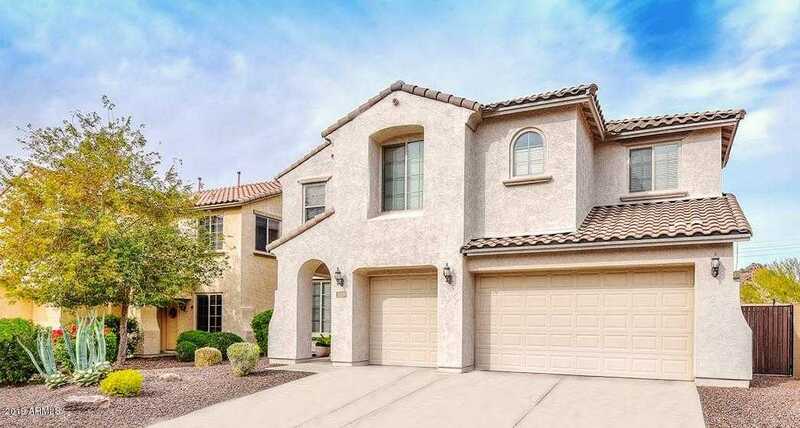 I would like to schedule a private showing for this property: MLS# 5875221 – $469,900 – 5220 W Bent Tree Drive, Phoenix, AZ 85083.